HomeBlogInsulation: Learning The BasicsOpen or Closed-Cell Insulation – Which is Better? Open or Closed-Cell Insulation – Which is Better? Whether you use open or closed-cell insulation makes a big difference to its performance as well as the cost of the application. While spray foam insulation has proven advantages over traditional products such as fiberglass, the nature of the foam is equally critical to its outcome. Here is an overview to help you understand the main differences between the two types. While open and closed-cell foam have specific features and advantages, how they will be used varies by project scope and requirements. Building application, the region in which it is located and budget will impact which type of spray foam insulation you select. 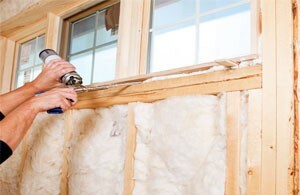 Local building codes are also an important factor in your choice of insulating system. 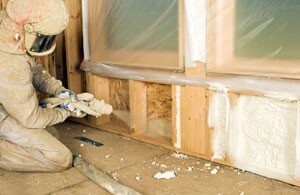 The manner in which spray foam is applied significantly affects its performance. A manufacturer-approved technician will ensure it is done correctly in order for you to realize its optimal performance and protection. Also, when applied properly, it lasts for the lifetime of your building. The technicians at Platinum Spray Foam are well-versed in Ontario building codes and can help you make the right decision. Our sound knowledge of the building envelope prevents any future issues. Our team is also manufacturer-trained, which contributes to a successful, energy-efficiency strategy. Talk to us about your upcoming construction or retrofit project. To learn more about open or closed cell insulation, call Platinum Spray Foam at (416) 731-8600 or request an estimate online.